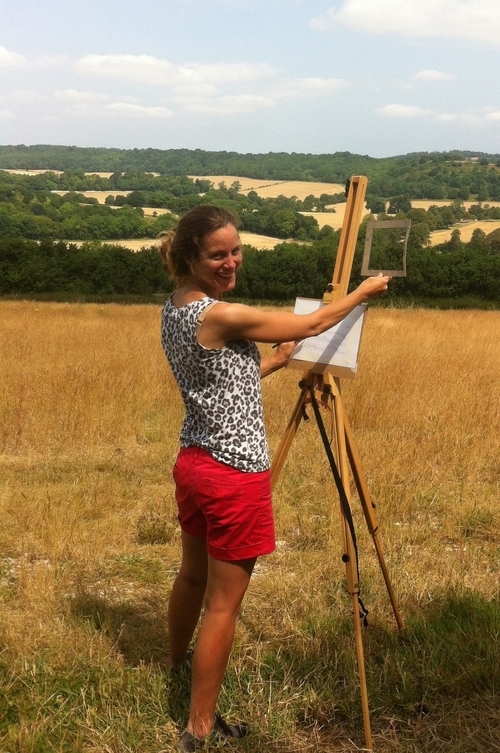 Leonora Phelan set up Quince Art School in 2012 from her home in Cerne Abbas. Throughout the year she runs weekly and one-day art workshops for adults. The Barn is delighted that she will be holding two weekly art classes here in January 2016. For more information please give Leonora a call or send her an email. 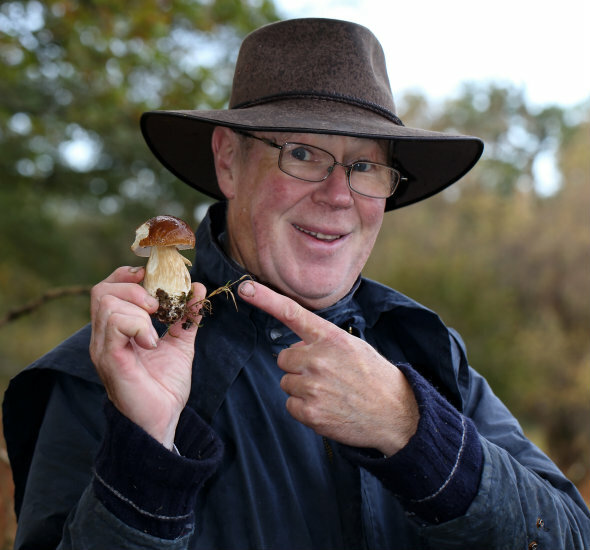 We are delighted that John, one of the UK’s foremost experts on wild food foraging, will be joining us here at The Barn in September. John is the 'go-to' person for finding wild mushrooms, edible plants and has more recently made a name as a prolific home brewer, exploring all kinds of infusions, liqueurs, and mysterious untapped rural recipes. John has written four of the River Cottage handbooks – Hedgerow, Mushrooms, Edible Seashore and his most recent addition, Booze. As a trained Teacher and self-confessed ‘foodie’, tutor Louise Talbot and her family emigrated from New Zealand to the UK in 2010. Descendant from many generations in farming (both in N.Z and UK) Louise has a natural affinity with the land and is proud of her rural heritage. She appreciates the simple pleasures of growing ones’ own vegetables, home baking, keeping hens (and in some cases pigs) and sees cheese making as a lost art form …… and is a little concerned also about global food production and food security in the future. Edward Corney and Robert Barrow sold their first bottle of claret in 1780. Fast-forward 230 years and their wine merchants hold two royal warrants - importing some of the world's most exclusive wines and The Barn is delighted to welcome them here again this November. 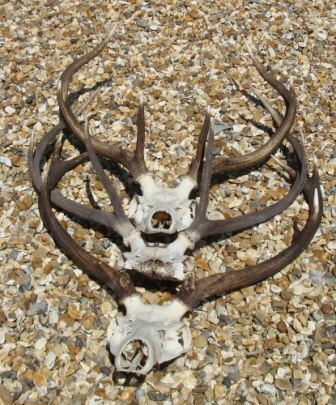 Introduction to Fieldsports 21st June and 8th July 2014.
respect for game and wildlife. Simulated deer stalking using a target. 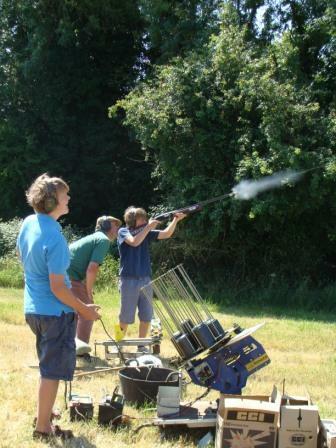 Clay pigeon shooting competition (guns and cartridges provided). Setting a pigeon hide and decoys. Setting fen traps and pest control. Game cartridges; what to use and when. Guns and clays will be provided on the day. As well as running his own shoot, gamekeeping for various large estates in Wiltshire Sid has been running courses at the Marlborough Summer School for over 30 years. He is highly respected in his field and knows everything there is to know about the countryside. Sid will be ably assisted by Guy Wilson who is just as enthusiastic and knowledgeable about gamekeeping, fieldsports and very importantly, gun safety. The day starts at 9.30 am and finished at 4.30 pm, includes lunch and refreshments. As seen in VOGUE magazine Isis of Stone teach individuals how to make beautiful, fashionable jewellery using materials such as beads, wire and professional jewellery making techniques, taught in a fun and easy manner for students of all levels and abilities. 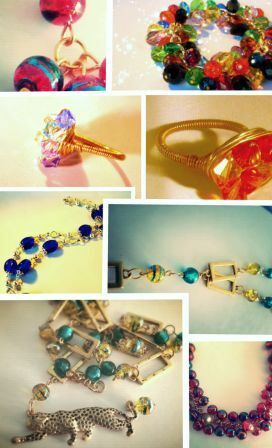 Their tutors are passionate about jewellery and are dedicated to encouraging individuals to work to their full creative potential. Whether you are a complete beginner, you want to advance your skills or you just simply have fun join us at the workshop and they promise to deliver an experience that you will remember long after it has ended. Nicky Llewellyn is one of Britain's top floral designers who combines original ideas and exciting new concepts with a vast amount of professional experience. Together with her creative team, they count in hundreds the weddings, parties and special events they design flowers for. Her creations have become an essential ingredient of celebrations all over the country including flowers for boutique hotels and members' clubs, film and fashion shoots, charity fundraisers, product launches and award ceremonies. 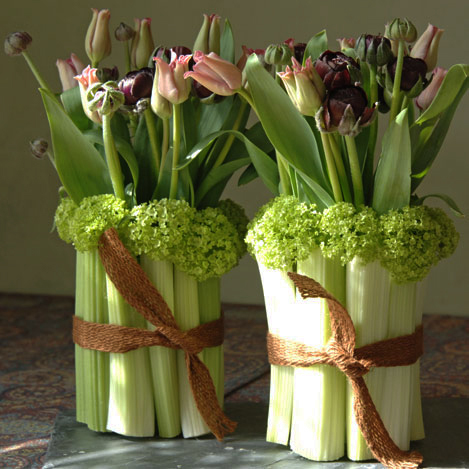 They have been featured in magazines such as Tatler, Harpers, Brides, Wedding Flowers and Country Life, among others. “The Barefoot Bee-Keeper”. 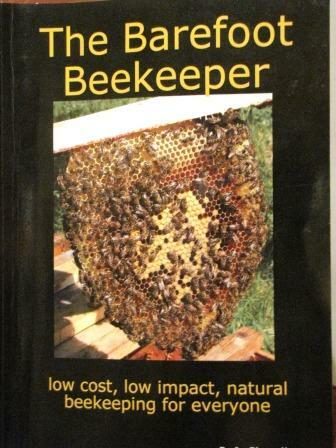 Whether you’re a complete beginner, an experienced beekeeper, or would just like to understand what can be done to help honeybees, this is a great opportunity to learn bee-keeping the natural way.  No chemicals are used in the hive … and yet, the survival rates of colonies are excellent and varroa infestations are kept to a minimum!  It’s more about the bees than the honey! 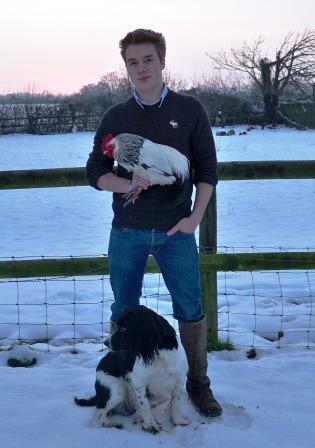 Join Guy and discover all you need to know about keeping poultry on this fascinating and informative morning workshop. Welfare - how to look after your birds, including introducing new birds into the flock, how to spot illness, common ailments and identification and treatment of parasites. Breeds - which breed is right for me? Guy will be bringing some poultry to sell on the day, as well as various poultry sundries. Over the years he has worked with a number of different breeds and been involved in some of the countries rarest. He is looking forward to providing you with all the advice and tips you'll need to start enjoying this fantastic hobby or just improve the lives of your flock at home. Courses begin at 9.30 am and will finish at approximately 12.30 pm. Suitable for ages 12 years and above. 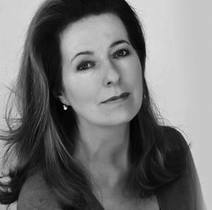 Highly experienced make-up artist Amanda Jackson-Sytner, offers a fantastic London service in rural Dorset, the latest must have beauty secrets and straight forward advice on skincare and make-up. Amanda’s says she’s on a mission to change the beauty habits of those over 40s who are still using the same products and techniques they did when they were in their 20s ! “Are you over 40 and feel invisible? Have you got lost in middle age? Are you stuck in a make-up rut? Have you spent a stash at airport beauty counters and not have a clue what to do with it all?” Amanda says she has the answer to all these questions and many more! “Pink frosted eye shadow may look great in a glossy but it’s probably a complete no-no for you. With make-up, there’s no one-size-fits all,” she proclaims. held in the Barn every July. If you want to know anything about fieldsports, then retired policeman and full-time gamekeeper Sid Vincent is the man. 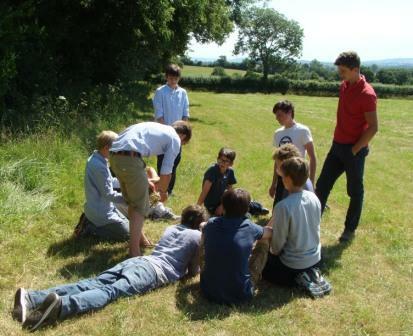 As well as running his own shoot, gamekeeping for various large estates in Wiltshire Sid has been running courses at the Marlborough Summer School for over 28 years, is highly respected in his field and knows everything there is to know about the countryside. The day starts at 9.30 am and finished at 4 pm, and includes lunch and refreshments. Vanessa started her business on her kitchen table 10 years ago. For the first few months she worked after her 4 children (8/10/12/14 years) were tucked up and before they came down in the morning…cutting all the samples with her pinking sheers….and rolling out the first orders on a table tennis table! After some excellent coverage in Country Living magazine and the Saturday Telegraph followed by a Country Living Fair, business took off and she has never looked back. Andrew's energy along with his enthusiasm for horticulture and eye for colour and design has shaped his career. Following a Degree in Horticulture at Bath University, he is perhaps best known as designer of the Hillier exhibit at the Royal Horticultural Society’s Chelsea Flower Show. His garden exhibits of the last 21years have upheld the company’s unprecedented record of 65 consecutive gold medals at the show. Andrew is also a regular contributor to magazines, newspapers and BBC Radio. He lectures widely to gardening groups and societies at home and abroad and leads numerous gardening tours. 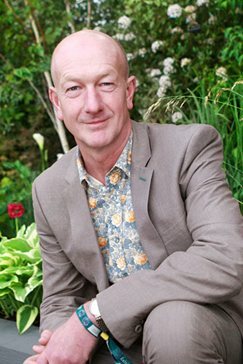 Andrew’s special interests include hardy shrubs, trees, herbaceous perennials flower bulbs and garden design. Andrew has published ‘Living Lawns’, ‘Book of Bulbs’ (Unwins) and the fabulously titled ‘Losing the Plot’ about how to downsize and enjoy the experience. Andrew’s gardening knowledge has developed through hands-on experience. He and his wife Ros are both keen gardeners; their last garden at Braishfield in Hampshire was featured on television and was occasionally open to the public. Five years ago they embarked on the creation of a new two-acre garden at Sherfield English near Romsey. The Spring Bulb workshop will help you to learn how to buy and plant a beautiful Spring garden using flowerbulbs, creating a blend of scents and colour. Learn how to naturalise bulbs in grass so they blend with your landscape. 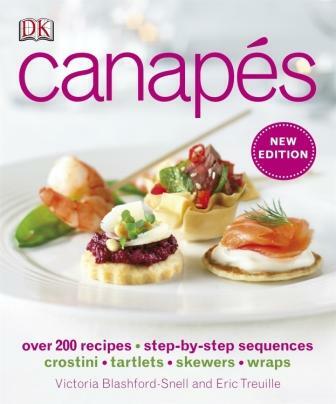 Victoria Blashford-Snell is the coauthor of several cookbooks, including Hors d'Oeuvres with Eric Treuille; The Illustrated Kitchen Bible with Brigitte Hafner; Favourite Recipes from Books 1, 2 and 3 with Selina Snow; Diva Cooking with Jennifer Joyce and Georgia Glyn; Canapes with Eric Treuille; and One Year at Books for Cooks with Ursula Ferrigno and Selina Snow. Victoria trained at Le Cordon Bleu and runs a catering company, is also a regular cooking teacher and demonstrator in Italy, Somerset, Dorset and at London's Books for Cooks. She has sourced excellent local suppliers who know her standards and only bring the freshest of daily ingredients. The food is contemporary British, often with a fusion of Eastern flavours. 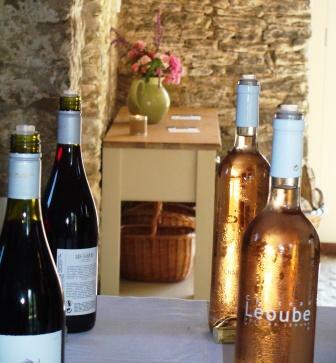 It is all about taste and quality. 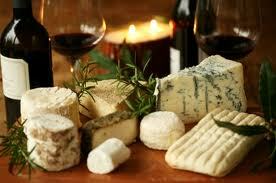 The menus are designed individually to suit the occasion with special attention to presentation and the seasons. Michael Marriott has worked with David Austin Roses for over 25 years. During this time he has designed private rose gardens and prestigious public gardens in many different countries. His own garden is run on organic principles and has never been sprayed over the last 22 years. Selecting only the most healthy varieties of roses, he uses companion plants to attract beneficial insects. Michael is a great believer in the basic, common-sense principles of gardening. These include using mycorrhizal fungi, enriching the soil, watering, mulching and fertilising well. Amanda Patton Garden Design & Planting was founded at the beginning of 2000 as a natural progression from 20 or so years as a professional illustrator. This began, following a degree in Textile Design (nurturing in me an appreciation of colour, touch and texture) in archaeology, but she soon started illustrating gardening books as well. She has illustrated about 80 books, including all but one of Alan Titchmarsh's gardening titles. Most of her design work is for private clients, though shedoes take on some commercial work which has included health care centres in Poole and Oxford, and a military cemetery at Yeovilton. While the creation of beauty, from both structure and plants, is an underlying philosophy that guides all her work, so too is a practical mind. Her work has featured in books and national magazines. 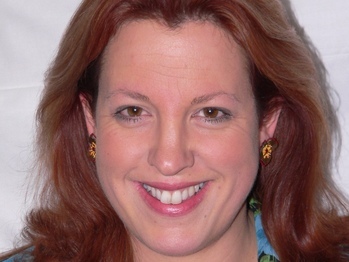 She is a regular broadcaster on BBC Somerset andI writes occasional articles for national magazines. 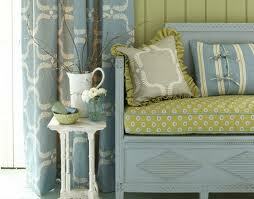 She is a Registered Member of the Society of Garden Designers and a Member of the Garden Media Guild. 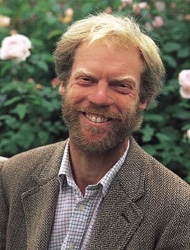 Charles Flower was Director of the British Trust for Conservation Volunteers from 1976 – 1980 and has practised as an ecologist since then, growing wild flower seed crops since 1988 and pioneering the restoration of wild flowers to farmland in England. 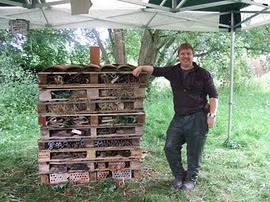 He acts as consultant to private, voluntary and statutory organisations on woodland and grassland projects. Current projects include the Stonehenge grassland restoration scheme, currently the largest scheme of its kind in Europe -700 acres to date. 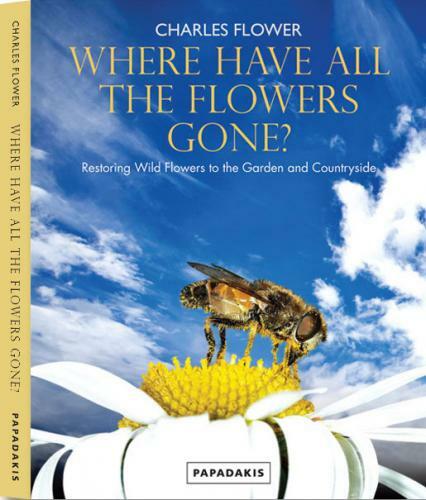 His aim is to spread the word that almost all boring grassland can be filled with wild flowers. David has been employed by the Trust since 1990; he is responsible for managing the Trust's conservation, educational and research work and designing the projects that the Trust undertakes. Staff training and public speaking are also part of his role. He is a BTO ringer and has fitted rings to over a thousand wild Barn Owls. Barn Owl conservation is a way of life for David; he's been fascinated by flight since he was a child. On the rare occasions when he's not working he is involved in DIY, playing and recording music and is interested in Native American traditions and microlight flying. Neil is passionate about orchards and their place in the landscape. He knows everything there is to know about growing fruit and is incredibly enthusiastic about teaching and sharing his vast knowledge. He works with others to put Somerset back on the map as the centre of apple growing, with its associated wildlife and heritage. Orchard Groundforce manage over 800 acres of orchards for their owners, which involves pruning, planting, picking, harvesting, bees, grants and general care.